This whole office has been so kind to me, hardly any pain. Just simply wonderful experience. I'm getting more done next week because I trust them so much. HIGHLY RECOMMEND Beverly Hills Profiles. Worth every cent. Varicose veins and spider veins are two types of veins that commonly appear on the legs. Some people will experience a great deal of discomfort or pain as a result of leg veins, while others will only be bothered by the cosmetic aspect of leg veins. If you’re unhappy about the presence of leg veins, we encourage you to contact our Los Angeles office today so we can discuss treatment to clear unsightly veins on your legs. At PROFILES Beverly Hills, our doctors will work with you to help reduce the appearance of unwanted leg veins by first identifying the type and extent of leg veins. Treatment recommendations will differ based on the characteristics of your enlarged veins. Drs. Litner and Solieman will consult with you and advise a particular strategy for getting the best possible improvement. I wish there are more than 5 stars! 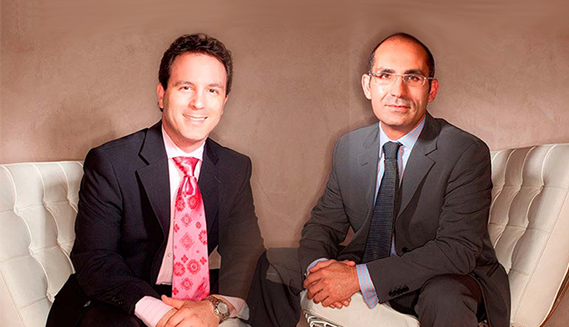 Dr. Solieman & Dr. Litner are the BEST plastic surgeons/ people period. Not only are they facial plastic surgeons, ear, nose. and throat doctors, rhino revisionary specialists, they are really extraordinary people! There is a sincerity and kindness about them. They have changed my life :) I truly know how gifted/intelligent they are. Spider and varicose veins are an incredibly common condition, especially in people over the age of 40. Nearly 80 million Americans suffer from leg veins. We estimate that about half of all women between the ages of 40 and 50 have visible leg veins. About 75% of women will have leg veins by the age of 70. Men suffer from leg veins less then women, but about 25% of men will have visible leg veins by 40. We have found great success in clearing leg veins in men and women with our pulsed-light based laser technology. Laser technology is best used to improve superficial, diffuse spider veins. For spider veins, the laser is calibrated to target the red pigment in these tiny veins, breaking them apart so they can be absorbed by the body. For patients with extensive varicose veins, other treatment options may be available. It’s time to stop hiding unsightly leg veins under long pants and skirts. Contact us today and take the first step towards getting your beautiful legs back! How do Spider Veins and Varicose Veins Differ? While both types of veins commonly appear on the legs, they aren’t the same thing at all. The chart below provides a brief comparison of these problematic leg veins.